This is one of the first cards I made. 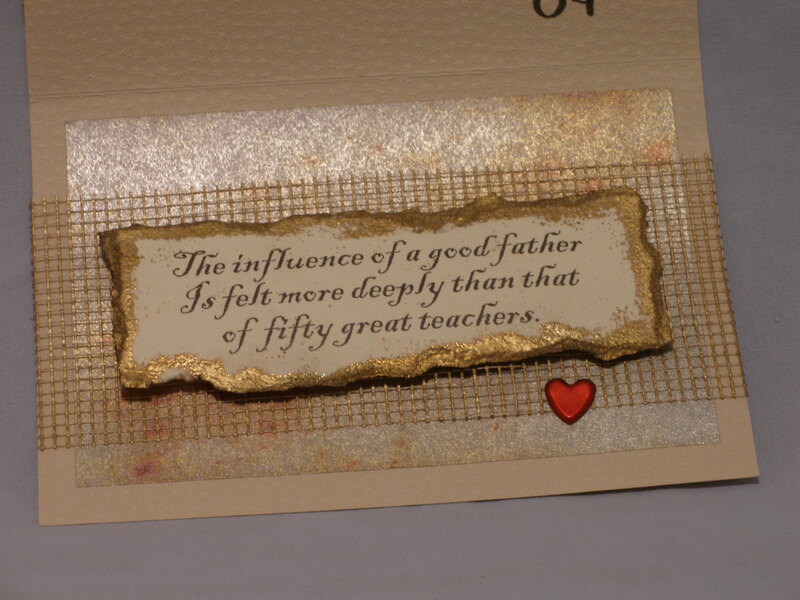 It was a Father’s Day card for my Dad. 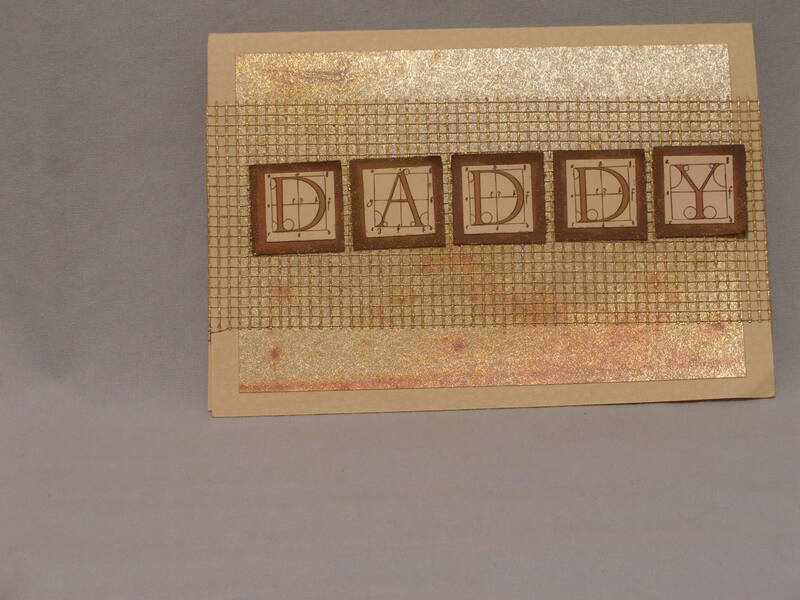 I used a metallic background paper & mesh. Not sure that comes through in the picture. I tore paper around the saying then gold embossed it. Added mesh & a red metallic hart. Again I used the metallic paper as a background. I’m not sure Mom knows I took this card after Dad went to be with the Lord. I was happy that he had kept it. Two patterns of paper for the background. A brown ribbon was attached to hide the seam. 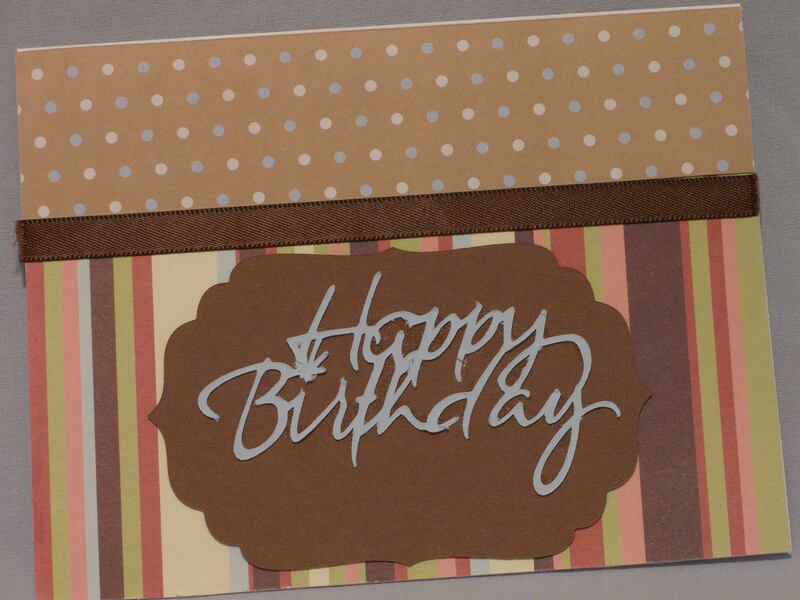 I used the Spellbinders Nestabilities to cut the background for the Happy Birthday that was cut out using the Cricut. If I did this card again I would have put the dotted paper on the bottom & the striped paper on top. Inside is mushy stuff written in calligraphy. This impressed my husband because I’m a firm believer that the card should say it all & all I should have to do is sign it. Ok I’ll admit it I’m a stamp-alcoholic.